If you think the only controversial presidents of the United States appeared in the 20th Century and America's founding fathers were learned and genteel men in white wigs, think again. Andrew Jackson, the seventh president of the United States from 1829 to 1837, rose from illiteracy and poverty from a log cabin near the border of North and South Carolina, to reach the White House. In contemporary terms it was like Trailer Park Wayne showing up at the Oval Office with a six pack of Miller Lites hanging out the trunk of his Firebird. Jackson was a polarizing figure who fought numerous duels in his time. I'm sorry to say the Brits were probably a good deal to blame for what transpired. During the Revolutionary War when Jackson and his brother were held captive by the British, Jackson refused to clean the boots of a British officer, leading the officer to slash at the youth with a sword, leaving Jackson with scars on his left hand and head, as well as an intense hatred for the British. This early experience was to come back to haunt the British at the Battle of New Orelans, not to mention to impact the quality of tea served in later years at the White House. Jackson earned a reputation as a brilliant and ruthless commander in the war of 1812, against the Indians and later the British at New Orleans where Jackson's 5,000 soldiers won a decisive victory over 7,500 British. Unfortunately nobody had bothered to tell either side the war was actually over before the battle had started. Now had I lost a limb or two only to find out the war had been over before the battle, I'd have been somewhat miffed. Jackson ran for President in 1824. I'll leave the details for the history buffs, but suffice to say he was stitched up by the genteel old boy network, despite securing the largest vote of any candidate. The subsequent election of 1828 between Jackson and the incumbent John Quincy Adams was as dirty as any contemporary elections, notwithstanding the lack of television and internet campaigns. Jackson's wife Rachel was called a bigamist, a charge that was technically true but related to a failed divorce attempt many years earlier. Rachel died shortly before her husband's inauguration. Jackson took it extremely badly but was still able to open the White House to the great unwashed for the inaugural ball, although apparently a drunken mob trashed the place, leading Jackson who had withstood the British and the Indians, to beat a hasty retreat. Jackson's presidency included a number of high profile feuds and a bitter battle against the Second Bank of the United States. 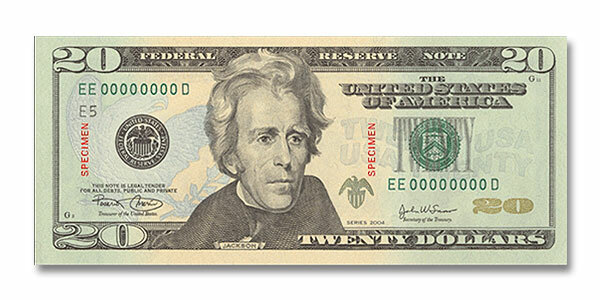 Jackson had an aversion to paper money which makes his subsequent appearance on the $20 bill all the more ironic. Inevitably, Jackson was the object of an assassination attempt, by Richard Lawrence, an unemployed and deranged housepainter from England, who aimed a pistol at Jackson, which misfired twice. By all accounts the president wasn't interested in Lawrence's explanation that he was the desposed English King Richard III, dead since 1485, and set about Lawrence with his cane. Jackson left a number of legacies. His opponents and cartoonists ridiculed him as a "Jackass." Jackson liked the insult and the donkey later became the symbol of the Democratic party. But another of his legacies is far more sinister, the relentless removal of the Indian people west from their lands and the harrowing migration known as the Trail of Tears. Although fiercely loyal to his friends Jackson treated those perceived as his enemies with little mercy. As an aside the comments on various websites about the redesigned $20 bill appear less than helpful. One commentator suggests Jackson "still looks stoned." A second suggests that's why he was nicknamed "Stonewall" Jackson, confusing the President with a Confederate Civil War general. Thanks for the interesting historical info. It's a good reminder that scandal and politics have never been mutually exclusive. I love your comment about the quality of tea. THis was great info, thanks for sharing. Happy to meet you via A-Z! Jackson was definitely one of the more interesting Presidents. i especially love the story of the inaugural ball going haywire. Great post for J. Great post. I love a good history lesson. I enjoyed reading this bit of history, David. Nicely done. AWESOME. I learned more about Jackson in this post than in 12 years of public school. Not kidding. funny Anna - he sounds like the brother in National Lampoons; thanks Robyn, also the real reason why we lost at Yorktown, we wanted to get home for some decent tea. 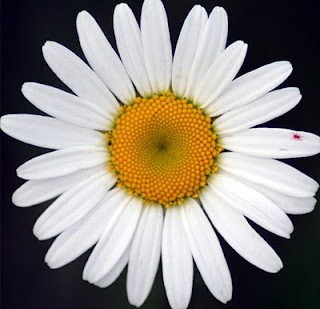 Thanks Damyanti, I've been bad at checking all the A-Zers out but will check you shortly. I know Jayne, he does when you think about it. 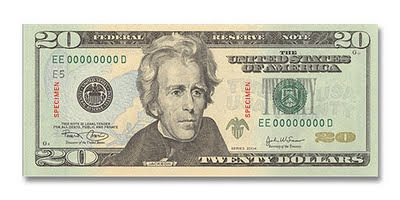 Andrew Jackson's nickname was Old Hickory. 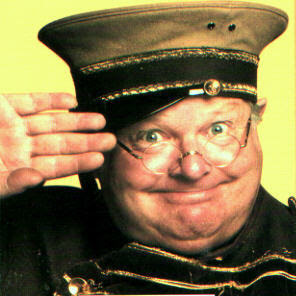 While he did some detestable things he was definately a character. I would suggest going to see his home, the Hermitage, outside of Nashville.